When you accidentally end up painted on the side of a building in Seattle﻿ – Abbey Co.
Hey guys. This is a sad story for me. Why? because there is a picture of me with a giant frog-looking double chin painted on the side of Century Link Field in downtown Seattle. The girl in the white zip up with the black aviators and the drunk look on her face in the middle of this picture is definitely me. All I know is that one day, my friends and I were walking to a game and they were like “hey Abbey, is that you???!”. I thought they were just playing a mean joke, then looked my own picture in the face and basically died on the ground in disbelief. What the heck!? How can your face get painted on a wall in public without your permission? 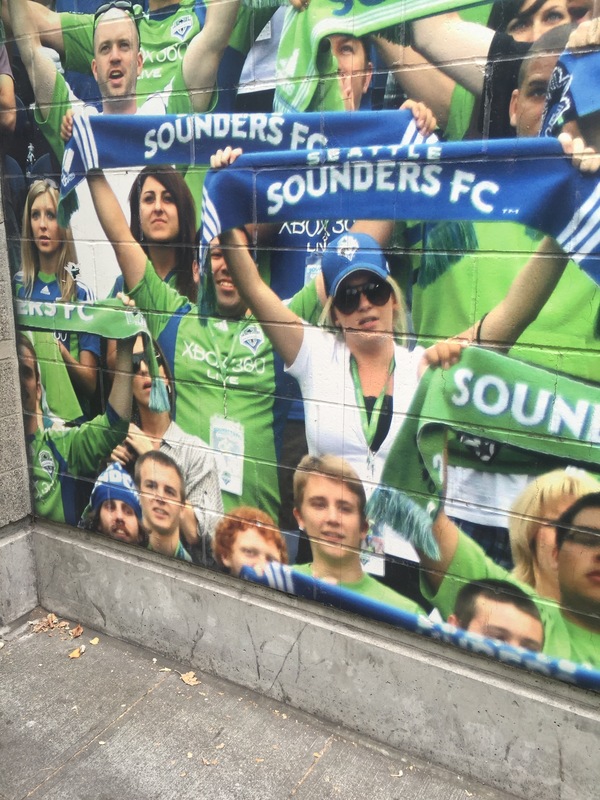 The best part – it’s painted on a wall INSIDE Century Link too. Over the years (yes it has been up for YEARS now), I will get random pictures sent to me of friends and coworkers who happen to be in the area and wanted to take advantage of the opportunity to poke fun at me. If you want to join in the game, please take a picture of yourself next to me on the wall making the most unflattering face possible and post it below. At this point, all I can do is laugh at it, because I sure can’t escape it! Maybe next time you are down at Century Link, take a better look at the walls, there is a chance you might be a local celebrity too!